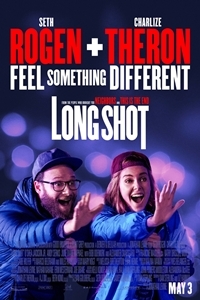 Synopsis: Fred Flarsky (Seth Rogen) is a gifted and free-spirited journalist with an affinity for trouble. Charlotte Field (Charlize Theron) is one of the most influential women in the world. Smart, sophisticated, and accomplished, she's a powerhouse diplomat with a talent for - well, mostly everything. The two have nothing in common, except that she was his babysitter and childhood crush. 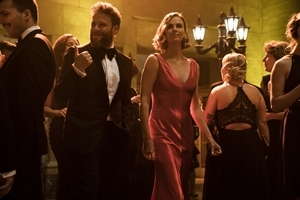 When Fred unexpectedly reconnects with Charlotte, he charms her with his self-deprecating humor and his memories of her youthful idealism. As she prepares to make a run for the Presidency, Charlotte impulsively hires Fred as her speechwriter, much to the dismay of her trusted advisors.